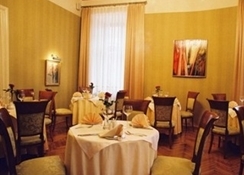 The ostoya palace hotel is a two-floor ,19th century polish palace located in the historical centre of krakow. 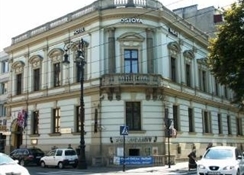 Meticulously restored and converted into a 4 star hotel, the ostoya palace offers a polish hospitality which combines elegance, discretion and culture with a warm and homely atmosphere. 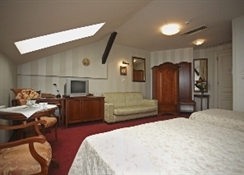 The varied, elegant and harmonious interiors, as well as the comfortable and stylish, air-conditioned guestrooms are also sure to satisfy the needs of every tourist or business traveller. Accommodation has been designed to meet the needs of the most demanding guest, whilst keeping the classical beauty of the palace interiors, as well as the spirit of history and the mood of the present. Colours are pastel, upholstery is carefully matched and the furniture custom-made. 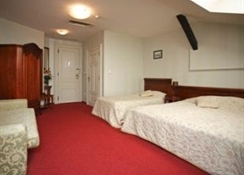 Every room is air-conditioned, and equipped with satellite tv, a radio, mini-bar, safe, telephone and broadband internet. The bathrooms have underfloor heating, hair dryers, heated towel racks, bathrobes and showers, whilst some have bathtubs with separate showers, others jacuzzi baths. 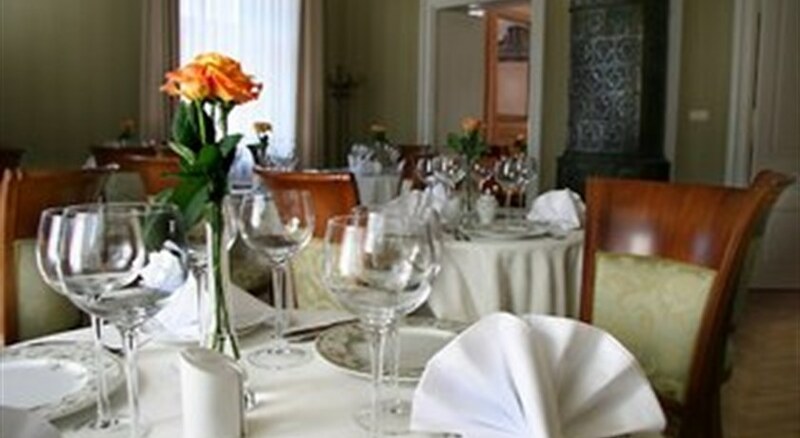 The hotel also offers a superior gourmet experience in the pleasant ambience of the restaurant salon, whilst the bar with its rich wine list and and varied atmosphere is an ideal venue for a business lunch or an evening with friends.